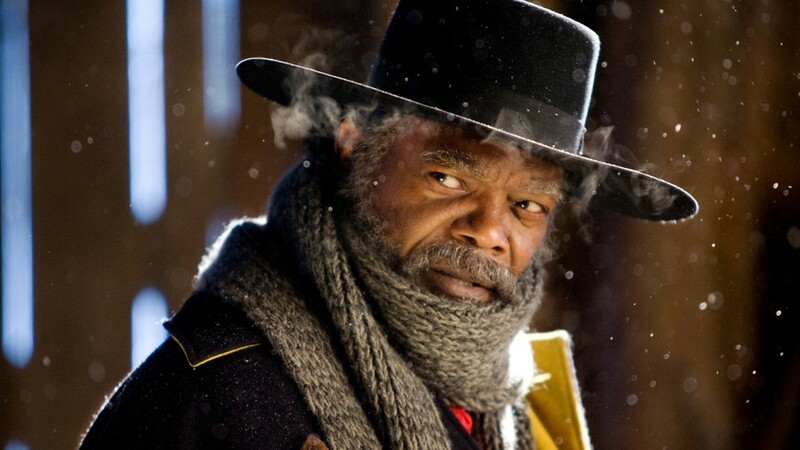 If you’re a Quentin Tarantino fan who has anxiously waited for any piece of information regarding his new western The Hateful Eight, you’ve probably picked up on talk of a Roadshow presentation or how the film will be shown in some areas in 70 mm. If you’re in your teens, twenties or maybe even thirties, and going to the movies has generally been a multiplex experience, then it’s more than likely that the significance between a Roadshow or a regular release, 70 mm or 35 mm, Cinerama or Todd-AO, or maybe even film and digital escapes you. Here’s an ultra-quick crash course. Remember those large scale, epic films of the sixties like How the West Was Won, Battle of the Bulge and 2001: A Space Odyssey? Before they went on general release around the country projected on 35 mm film, they often had long stays in key major city theatres, presented on a huge screen – think IMAX but wider – and projected with the crystal clear clarity of a 70mm print. There would be an overture playing as you sat in your pre-booked assigned seat, an intermission to let you stretch your legs between acts, some intermission music, then a second half. It was like going to a live show except it was a film. 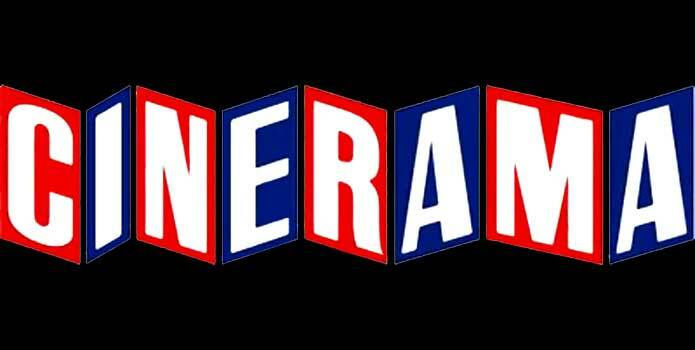 And if it was presented in the Cinerama system, then that huge, 70mm screen was curved as if to envelope you and pull you in. That was a Roadshow presentation. A general release feature of the same film was later mass produced on 35mm prints and sent around the country to smaller, regular theatres for continual shows, often without overtures or intermissions, and sometimes in a slightly shorter version. Quentin Tarantino loves film. He’s not a great fan of digital. He likes to work with real celluloid that spools through a camera, and that’s how he wanted to shoot The Hateful Eight, not on digital but on film; more specifically, in ultra-widescreen 70mm. In some markets, depending on the ability of the theatre to project the large negative, Tarantino’s western will have the full overture, intermission and 70mm Roadshow presentation. The general release version presented in digital will be several minutes shorter with a few alternate scenes re-shot for smaller multiplex screens. The version shown to press was Roadshow length. 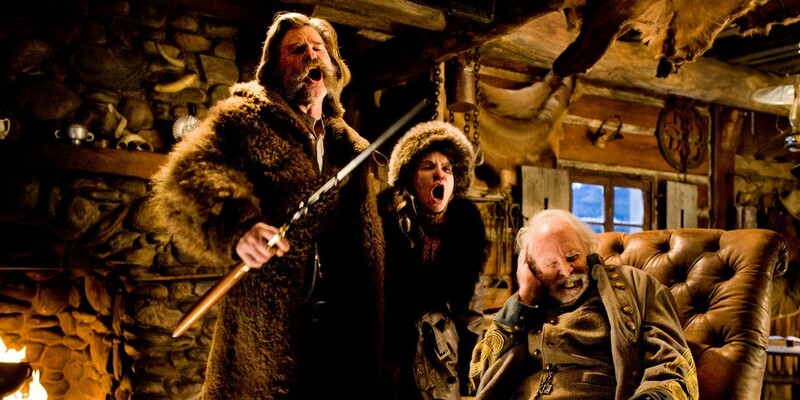 It’s a snowbound Wyoming some years after the Civil War and mean bounty hunter John Ruth (Kurt Russell) is in a stagecoach taking his captured fugitive, Daisy Domergue (Jennifer Jason Leigh) to Red Rock. He’ll earn ten thousand dollars; she’ll hang. Along the way, the coach picks up two more passengers, another bounty hunter called Major Marquis Warren (Samuel L. Jackson) and the man who claims he’s the new Red Rock sheriff, Chris Mannix (Walter Coggins). “Ya’ll having a bounty hunter picnic?” asks Mannix with a cheesy grin as soon as he recognizes the two mercenaries. Because of a blizzard, all three men plus the female fugitive are forced to rest at a mountain stagecoach passover known as Minnie’s Haberdashery, but the friendly Minnie with the best coffee in Wyoming is not to be found. Neither are the rest of her usual workers. Instead, there are four more strangers, hanging out, keeping warm, drinking coffee, and waiting for the storm to pass. The odd thing is, it appears that everyone knows each other in one way or another; everyone’s connected, though one of them – maybe more – are not quite as they seem. Imagine Murder on the Orient Express mixed with a little of Tarantino’s own Reservoir Dogs but with six-shooters, cowboy hats and a lot of splattering blood that comes in short, explosive moments. Surprisingly, despite the talk of 70mm, Cinerama and epic movies, The Hateful Eight is actually small scale and hardly Roadshow material. There are no spectacular set pieces that would visually benefit from a giant presentation. This is essentially a talky drama in a wooden cabin where a gun shot usually concludes the speech before we move on to the following, lengthy monolog. Conversations take place either within the confines of the stagecoach or the Haberdashery with just the occasional snow laden, panoramic exterior shot included to set the scene. The only thing epic is the length. At three hours plus, with this kind of reasonably simple whodunit-and-why structure, the film is indulgent. 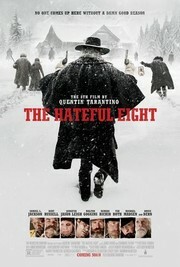 Those familiar with Tarantino’s work know that nothing exists in the real world. His stories and settings are inspired not from reality but from other films, particularly ones he admires. References are cinematic; he recreates rather than creates then mixes it up and delivers it with his own particular flavor. The fact that all his characters are killers or bounty hunters are influences of Tarantino’s favorite director, Sergio Leone, plus when Coggins’ Mannix inquires what was Domergue’s crime that makes her worth ten thousand dollars, he asks, “What she do? Kill Lilly Langtry?” You have to wonder if Tarantino really knows about the one-time nineteenth century vaudeville performer or if he saw Paul Newman’s The Life and Times of Judge Roy Bean a few times and liked the reference. I’m suspecting the latter. The director/writer’s signature style of theatrically colorful f-bomb laden, 21st century dialog is there. Each character is amazingly verbose with a story to tell, and throughout the following three hours and seven minutes – shorter for the general release – each one will tell it, slowly and deliberately while everyone else in the room clings to every word. When tension among the men threatens to accelerate and there are still things to discuss, Jackson’s Major Warren states, “Let’s slow it down. Let’s slow it way down,” which in reality is how things have been since the movie began a few hours earlier. The second half is more involving than the first. This is where we get to know why the men are hanging around the blizzard-seized Passover, who everyone really is and what they intend to do next. It’s the first half taking 110 minutes to get to a point where something happens that’s the problem. Tarantino’s dialog can be extraordinarily captivating with enjoyably quotable chunks as proved in past features, particularly Pulp Fiction and Inglourious Basterds, but not every spoken word is gold and worthy of inclusion. 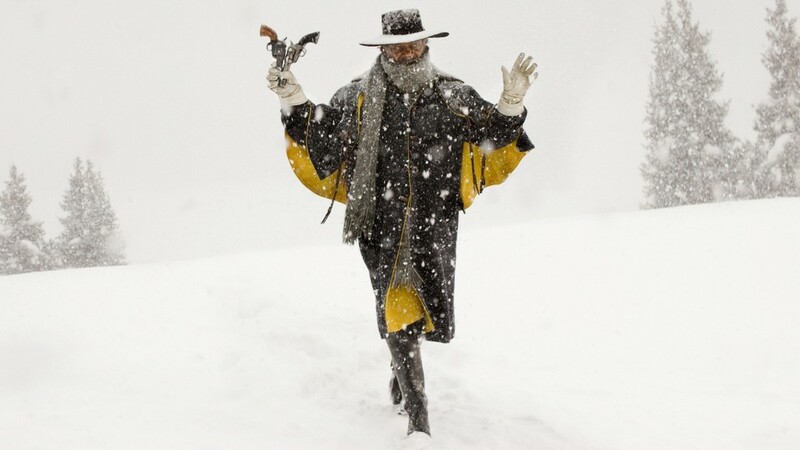 In the way Django Unchained overstepped its length, so does The Hateful Eight. Fans will undoubtedly relish every anecdote; others will be checking their watches. 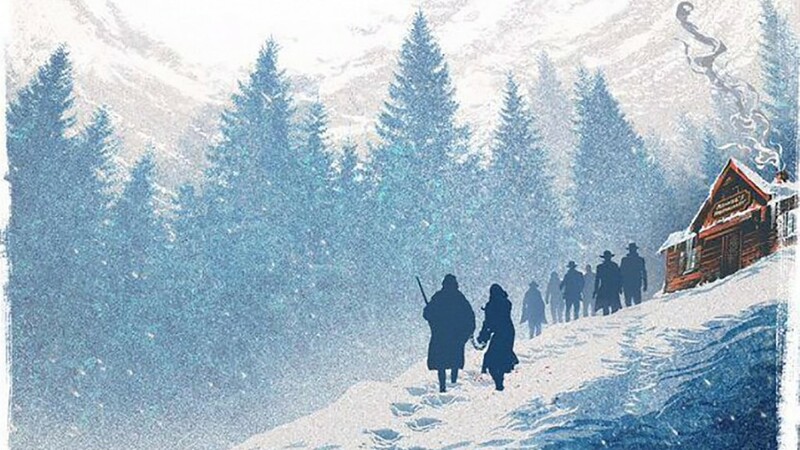 Please Note: The Hateful Eight will be opening at three valley locations on Christmas Day. Check local listings.